A nice change from the other recipes the ABC bakers made so far; this month we’re baking a Honey Oatmeal bread from The Weekend Baker byAbby Dodge. Or… that’s what the recipe said. For once I was determined to do as the recipe told me and not stray from it. Just read and go with it. And I did. Except for substituting half of the white bread flour for spelt. Which I thought was genius. A nice hearty flavour to add to the oatmeal and honey goodness. If only my genius-ness (is that a word? Probably not) would have stayed with me for a tad longer. Than I would have overruled the recipe by reducing the salt and the yeast and the liquid…. We’re in Holland, our flour is less strong than yours, that’s why Dutch bakers usually grab the –somewhat- stronger bread flour instead of AP and in the same instance reducing the liquid. I know I thought the amount of salt used was quite a lot for the amount of flour, same for the yeast. I could reason some of the excess yeast by the amount of butter and honey. A sweeter dough takes longer to rise and probably the higher amount of yeast would take care of that, a bit of a short cut really. Spelt flour can be quite moody in taking water so if I had been thinking while mixing, I would have changed all of the above. But no, I steadfastly kept to my vow of following the recipe. And got a very very wet dough, incredibly tacky (thank you spelt!). Mixed it up –kneading wasn’t really the word for it- and covered it for a night’s stay in the fridge. The next day the dough was somewhat firmer, more or less shaped it in a bread pan (no way this was going to hold up in freestanding baking) and baked with steam. The resulting bread was quite poofy and airy (yeah right what else did I expect) but looked surprisingly good I must say. We had a slice yesterday night and the Husband commented that it was salty. Good but salty. Real salty. The message is clear honey, I know! Still, when I took it out of the paper bag this morning *someone* had been cutting it into neat slices and took it with him for lunch! So.. all in all not bad but I know I have to trust my instincts next time. 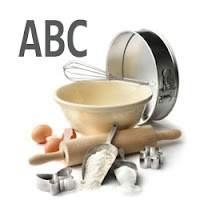 Don't forget to check out the other ABC bakers. I think it's just soo silly that we (yes I'm like that too) just don't dare to follow our instincts and adjust while baking. Well at least you're always right in the end when the dough does as you feared. And being right is also an asset. And you baked with spelt, that takes even less water that AP. Having said that..look how it turned out, a great bread, you're still a bread wizzard to me! Thank you Hanaa and Lien, I must say it feels good to bake again it had been so long! At the same time that absence of baking made me not trust myself and there I was strictly doing as I was told haha! I have a pack of spelt flour in my fridge for months, still uncertain to the usage! Will have to test my courage and use that up soon! Our AP flour is not strong enough, so I always replaced with bread flour for all breads. I reduced the salt and I'm so glad I did! 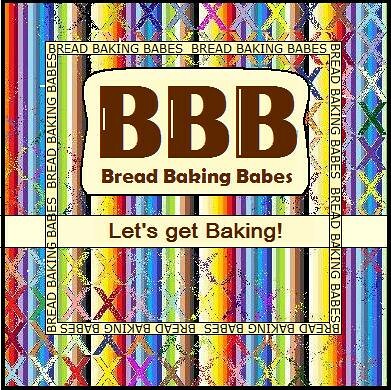 Most of bread recipes I've seen, used too much salt for my liking! This is a lovely bread, and yours looks wonderful! Your hubby make me smile! Well, you know for sure this bread is a winner! I like the straying! Especially if you know that you might not like something, or know from experience that you don't need as much. I'm more salt tolerant in bread, but I always wonder why Americans add so much salt in their sweet pastries. Substituting some white flour with spelt is a great idea, I intend to do that next time, too.